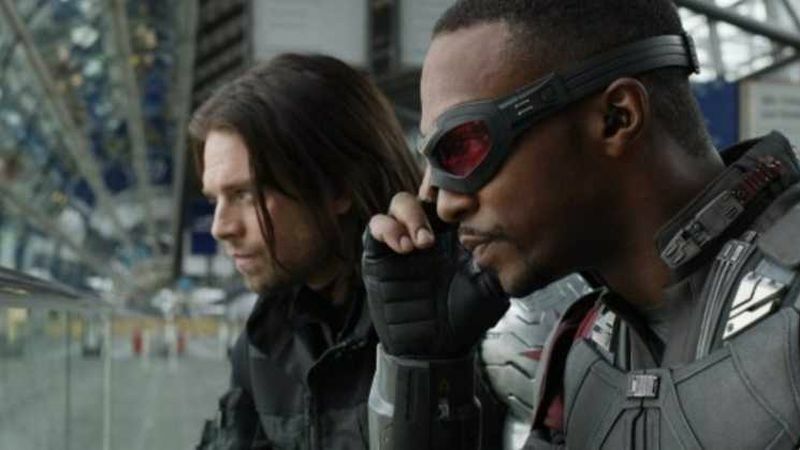 SlashFilm and Variety are both reporting that a Falcon and Winter Soldier TV series is in the works for the upcoming Disney streaming service. The limited series will see both Anthony Mackie and Sebastian Stan reprise their roles from the Marvel Cinematic Universe. Variety reports that the series has tapped Empire writer Malcolm Spellman to pen the series which, unlike other Marvel Entertainment TV shows, will see Kevin Feige working as its producer. Stan made his MCU debut in 2011’s Captain America: The First Avenger and has since appeared alongside Mackie in Captain America: The Winter Soldier, Captain America: Civil War, Avengers: Infinity War, and the upcoming untitled Avengers 4. The series starring Captain America’s former sidekicks joins the previously reported Loki and Scarlet Witch TV shows which will also be in the works for the Disney streaming service. In addition, the first ever live-action Star Wars TV series, The Mandalorian, will premiere on the service. The new Disney-branded service will become the exclusive home in the U.S. for subscription-video-on-demand viewing of the newest live action and animated movies from Disney and Pixar, beginning with the 2019 theatrical slate, which includes Toy Story 4, the sequel to Frozen, and The Lion King from Disney live-action, along with other highly-anticipated movies. Disney will also make a significant investment in an annual slate of original movies, TV shows, short-form content and other Disney-branded exclusives for the service. Additionally, the service will feature a vast collection of library content, including Disney and Pixar movies and Disney Channel, Disney Junior and Disney XD television programming. All told, around 500 films from the Disney library will be present on the service along with nearly 7,000 episodes of Disney television.